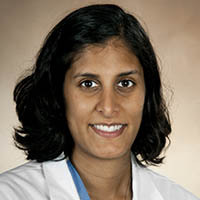 Dr. Thavaseelan completed her fellowship training at Brown University in Minimally Invasive Urology/Endourology/Robotics in 2011. She joined as full time faculty in urology and serves as Chief of Urology at the VA Hospital, overseeing all clinical care and resident training. She is actively involved in resident training at all clinical sites and is an active participant for staffing urology clinic cases. Her interests including stone disease, endourology and robotics. Dr. Thavaseelan is a member of the urology staff at Rhode Island Hospital, The Miriam Hospital, Providence VA Medical Center, Memorial Hospital of Rhode Island and Women & Infants Hospital.